The nascent Mexican resort destination of Playa Mujeres continues to blossom, with the Finest Playa Mujeres set to debut here on March 1. 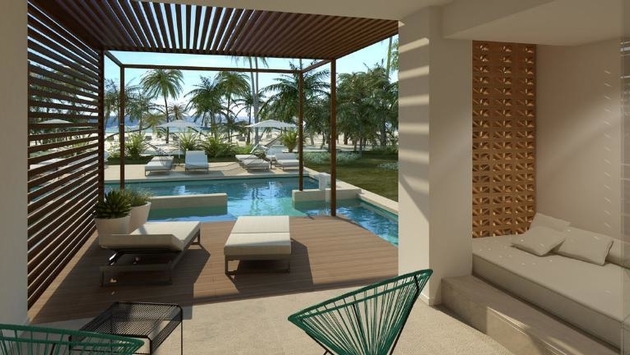 The resort will join AMResorts’ Secrets Playa Mujeres Golf & Spa Resort, which opens on Nov. 15. AMResorts will also add a Dreams property in Playa Mujeres adjacent to the Secrets resort by the end of next year. Still, Excellence Group Luxury Hotels & Resorts Excellence Group, which serves as the umbrella company for Excellence Resorts, Finest Resorts and Beloved Hotels, boasts a strong presence at Playa Mujeres, with both an Excellence and Beloved resort. PHOTO: The junior swim-up suite at Finest Playa Mujeres. To celebrate the opening of its third property at Playa Mujeres, the Excellence Group is offering Finest guests 35 percent savings on rates. The offer is good for bookings made through the end of April. According to Alejandro Lazcano, marketing director for the Excellence Group, one of the Finest resort’s strongest selling points will be the size of its 450 suites, which, at minimum, will measure 800 square feet. 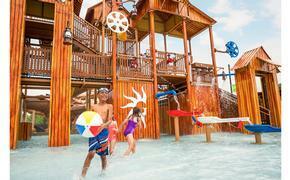 Also, the resort will feature separate family and adults-only areas, along with suites dedicated to both groups. All tolled, Lazcano said the resort will be equipped with nine a la carte restaurants, 17 bars and lounges and facilities for children. He said 70 percent of the resort’s guest complement will come from the U.S., 15 percent form Canada, 5 percent from U.K. and the remaining 10 percent from other parts of the world.